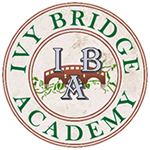 Ivy Bridge Academy’s Math Tutoring, Math SAT Prep, and Math Camps in Alpharetta | Johns Creek | Suwanee provide an interactive learning environment that is fun, challenging and educational. Our goal is to promote and maintain the students’ interest in mathematics, prepare them for the Math SAT and Math Advanced Placement tests, challenge the brightest with new interesting math concepts, and offer an interactive, fun, learning environment for math. Math Professor Dr. Choi, PhD.